Provides the user with front to back, up and down, and swivel motion. 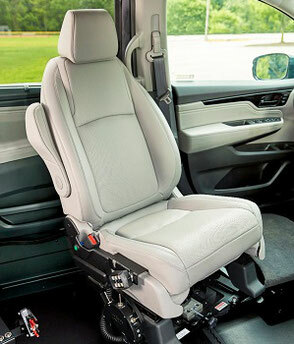 It's a simple and reliable driver or passenger solution for access to higher vehicles. Operates by Pushing down toward the floor for brake and pull back for acceleration available with upright handle or our standard handles to custom fit you. 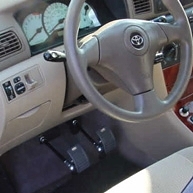 Gas and brake pedal extensions are an easy and inexpensive way for those that have a difficult time reaching the pedals to safely operate a vehicle. This solution helps pregnant women, people that have leg injuries that limits mobility. Uses RF technology to provide wireless control of many secondary functions, which allows for several mounting options without cumbersome wires or cables. XL-BASE In one smooth, simple motion, the XL-BASE rotates and then gently lowers out of the vehicle. The XL-BASE has a 350 lbs weight capacity. Controls stop at any point for ideal transfer. 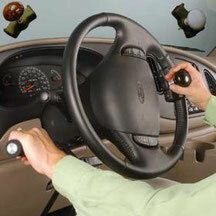 Our most popular steering control, the ball-grip presses firmly against the palm of your hand, giving you added strength and control for easy driving. 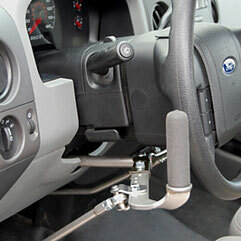 The quick release base allows easy removal of the knob when not required. The base features two ball races for smooth operation. The brake (or clutch) Pedal Mate is adjustable with extension lengths from 2—7" and at heights ranging between 3—4." Easily positioned to meet your exact requirements. 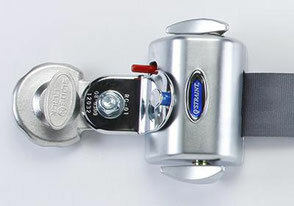 The EZ Lock Wheelchair Docking System has helped many thousands of wheelchair users worldwide to overcome the obstacles associated with driving from, or riding as a seated passenger in a wheelchair.The EZ Lock BL-6290 Docking System more than 20 years ago, changed the way people think about wheelchair mobility and transportation. 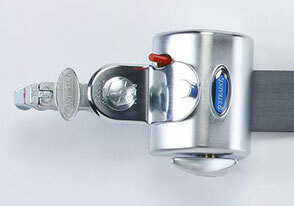 The QRT Deluxe is the original self-locking and self-tensioning retractable system. 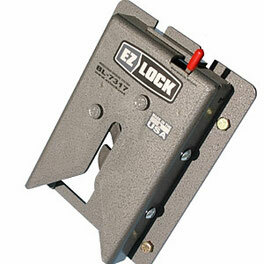 The Deluxe features dual tightening knobs and is considered the industry standard. 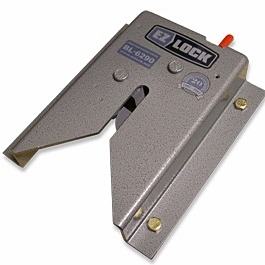 Easy foot release lever eliminates bending down. 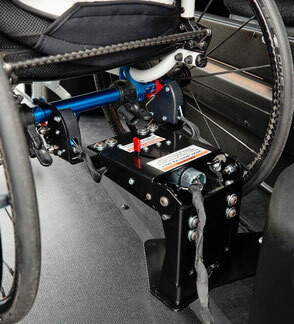 The POWER-PULL is designed to help a wheelchair up the ramp of a lowered floor minivan. 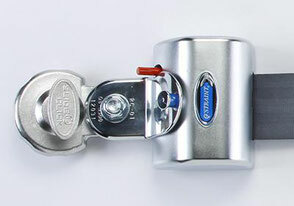 The POWER-PULL has a 350 lbs maximum capacity. 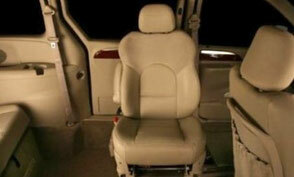 Automatic recline provides head clearance as the seat passes through the door opening. 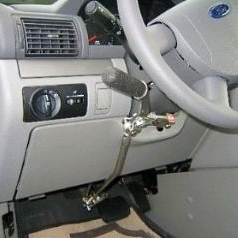 Putting a parking brake extension on your vehicle would allow you to use your hand to engage the parking brake if you were not able to with your foot. 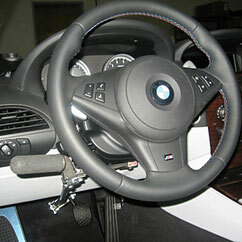 The MPS Quick Release Left Foot Gas Pedal with Pedal Guard allows the driver to accelerate with the left foot. This pedal is installed on the left side and is mechanically linked to the original manufacturers pedal. The pedal along with it's quick release feature make it easy to remove. 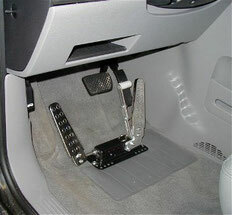 It's adjustable accelerator pedal clamp accommodates varying widths of pedals and securely tightens with a locking screw. It has an adjustable reach. 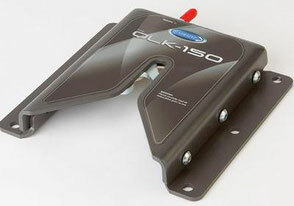 The QLK-150 wheelchair docking system is the next step in independent wheelchair securement (also known as powered lockdowns or tie-downs). It is the perfect solution for those looking to drive their own vehicle or want to quickly secure their own wheelchair using a single point system. Compact design has a much larger touch area and features embedded LED indicators showing system status.